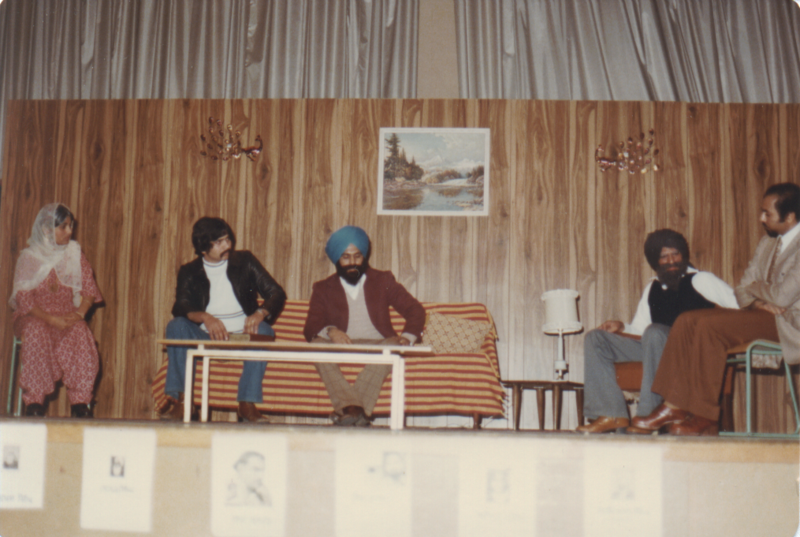 All of these plays have been performed in Vancouver and in Punjab. 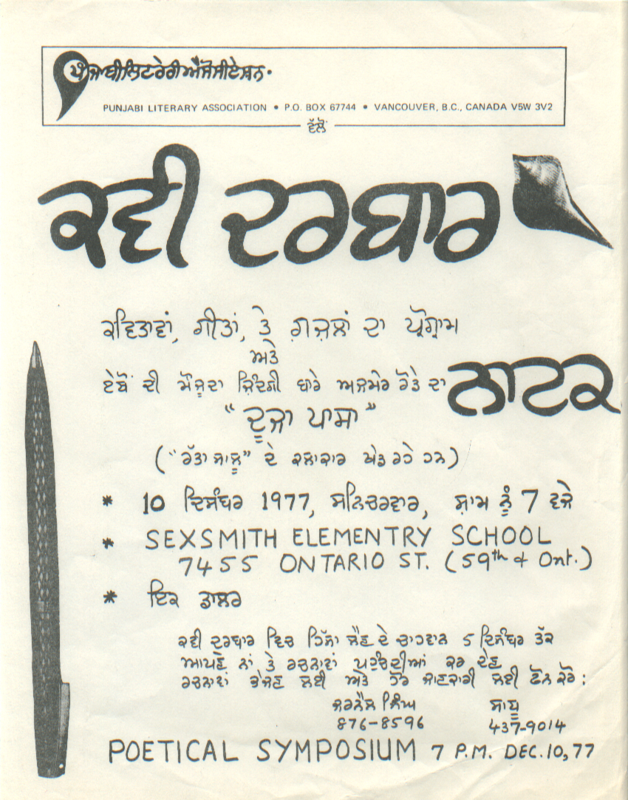 Dooja Paasa is the first published book of Canadian Punjabi plays. Dooja Paasa deals with racism in Canadian society. A Sikh man after having been attacked by a racist gang in his neighbourhood can’t decide whether to keep his turban or not. “Techniques of stage presentations show that Ajmer Rode is a dramatist with deep understanding and grasp of theatrics. 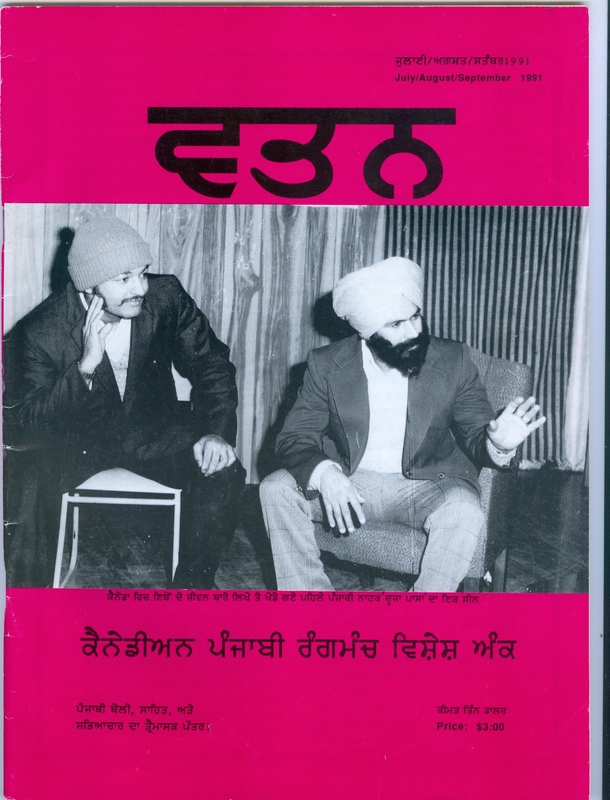 Dooja Passa is a solid contribution to Punjabi drama.” –Dr. 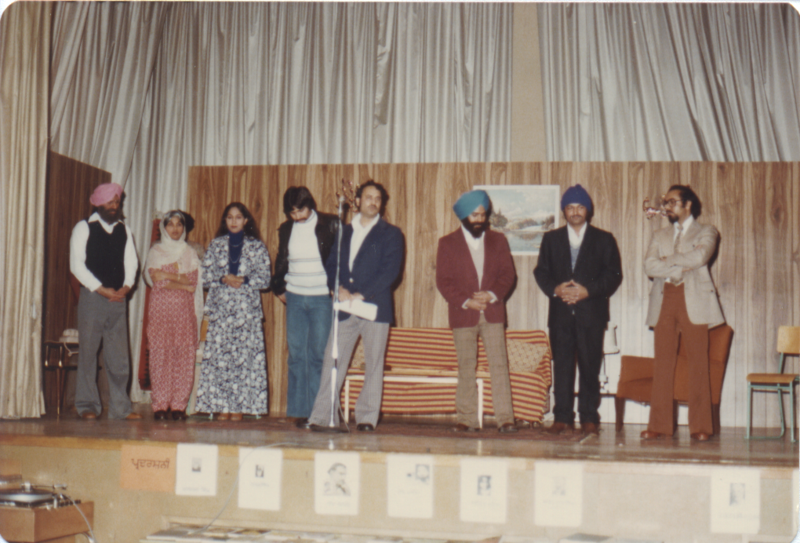 Mohanjit, Kaumi Ekta, 1981. A scene from Dooja Passa was highlighted on the cover of Watan, a literary monthly published from Vancouver.